My latest bit of nonsense! 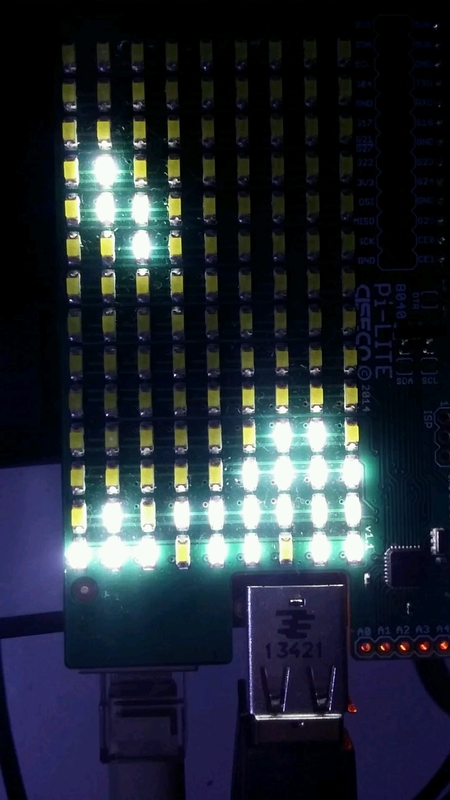 An implementation of Tetris on the Raspberry Pi, but instead of displaying on a screen, all output is via the LEDs of the Ciseco PiLite. If you haven’t got a PiLite, perhaps you’d prefer my alternative version in the Minecraft world? This is written in python2 and uses my own python-pilite library, available via pip. I’ve been playing with pygame as well recently, and I’d been thinking for a while that it would be fun to implement a frame-buffer-like interface for the PiLite and a function to write a pygame Surface to it. That way I could use all of pygame’s sophisticated features, including collision detection. Overkill on a 14 x 9 x 1-bit display? Perhaps. Fun though! As the PiLite is connected via a slow serial link (9600 baud) the rendering is slow, 5 fps, but this is fine for Tetris. The code is available over on github, along with the PiLite library. Here’s a poor quality video of it in action! Thank you for this, I’ve been looking for something to show off the li-lite using python and this fits the bill perfectly.